Focus can help ensure your company complies with the Working Time Directive which limits employees’ working hours to 48 a week. The 48-hour Working Week law does not affect each individual week but counts the average number of hours worked over a period of 13 weeks. 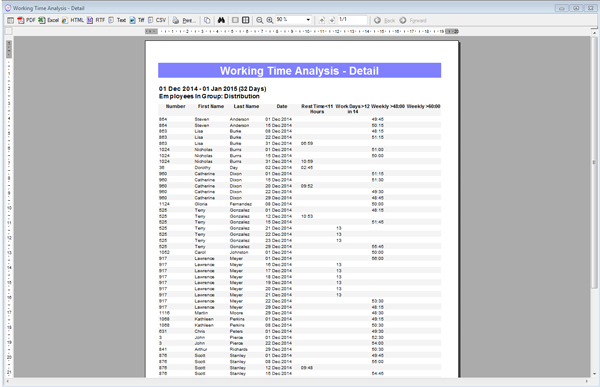 Focus reports allow you to see at a glance the average number of hours each employee has worked over whatever time period. Monitoring these reports will ensure your company is compliant with the Working Time Directive law at all times.